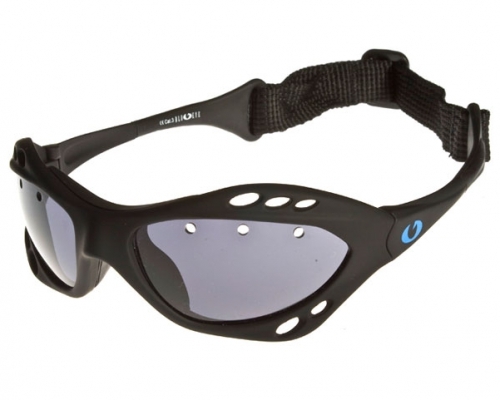 Blueye specific purpose Water sports eyewear is designed for Surfing, Kite boarding, Kayaking, Jet skiing, Water skiing, Wake boarding and Sailing. All sunglasses and goggles in this range have been designed to float, thereby reducing the risk of loss, whilst protecting your eyes from the sun’s harmful rays. Frame: TR90 Grilamide ultra tough frame. Strap: Adjustable Head Strap with Neoprene Float attachment. Lens: 8 Base 1.8mm Shatterproof Polycarbonate Decentred. 1. Ventilated Smoke Lens with hydrophobic watershield coating. 2. Ventilated Revo Lens with hydrophobic watershield coating.